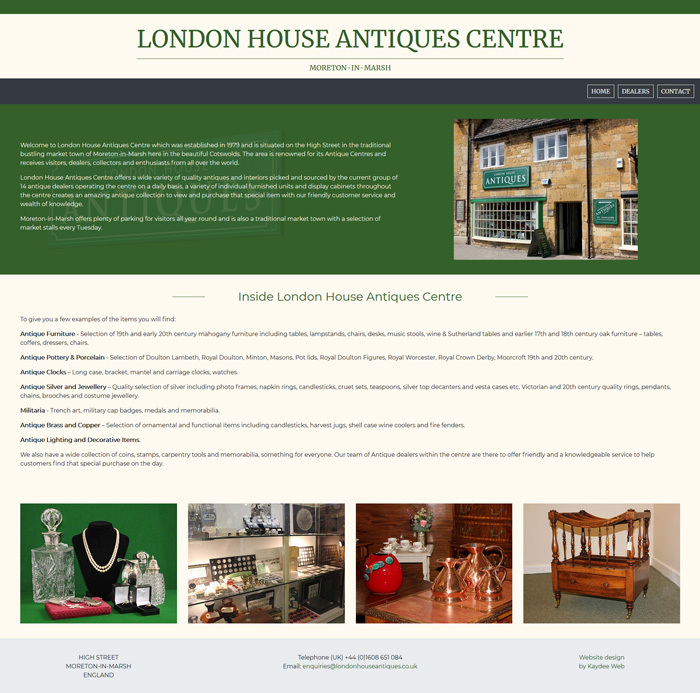 London House Antiques Centre had a small website designed under my startup package, as they did not want too many design elements. A classic website design which is very easy to navigate on desktop or mobile. I chose a sans serif font which is clear to read and brings a more modern feel to the centre. London House Antiques Centre do not have a logo, so I wrote the name of the centre in a traditional look, serif font. The photos were taken in-house, and I think they turned out really well. The ones on the dealer page open out into lightboxes, over the top of the site itself. Each dealer is clear to see, serperated by full width grey boxes. Built using Bootstrap 4 framework.